If you ever have any concerns or questions, please contact Principal, Angela Marshall at amarshall@maconcountyschools.org, and she will address your concern quickly. You may also call Westside at 615-666-3128. 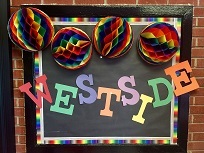 Westside has a Westside Elementary Tiger Cubs page. Please check it out because we are posting on consistently. Get our school's official mobile app! Stay in the know everyday, the SchoolWay. It's FREE! Download SchoolWay from the app store today... click below to find out more. Below are the core values of the school and system. We work each day to provide the best possible education to each child. "Inspiring and Empowering Students" all year long! It is the vision of Westside Elementary to provide all children with a safe and inviting environment to ensure their success. We want to instill in each student high expectations, morals, and respect enabling them to graduate with the knowledge and skills to become productive and responsible citizens. 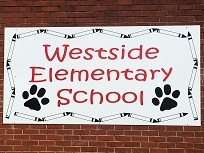 Westside Elementary inspires and empowers students to meet high academic standards, lead ethical lives, and demonstrate responsible citizenship. Education, which is an on-going process that begins at birth and continues throughout the adult years, is the responsibility of educators, parents, businesses, and community populations. All students have the right to educational opportunities that will provide them with the skills, knowledge, and resources which enable them to become healthy, successful, productive citizens. Student achievement is directly related, but not limited to, a high degree of parental and community involvement through meaningful communication in planning and implementing educational programs and opportunities. Our system and school maintains a high focus on improving the achievement of all students. 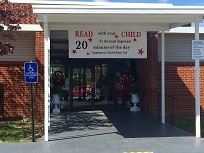 To visit other schools in Macon County as well as the school system web site, click the schoolhouse!